Zimbabwe is home to the magnificent Victoria Falls, the largest waterfall in the world, known locally as Mosi oa Tunya (The Smoke that Thunders). This spectacular feat of nature is one of the “Seven Wonders of the World” and together with the Zambezi National Park is a UNESCO Natural World Heritage Site. The falls are as a result of the 2 kilometre wide Zambezi River plunging more than 100 meters into a steeply walled gorge. A truly spectacular sight. Spray from the falls can be seen from a distance of 30 km away. However while the Victoria Falls is on the must do list for every traveller to Zimbabwe, there is so much more to this beautiful country in which wildlife abounds. It is a photographers paradise. 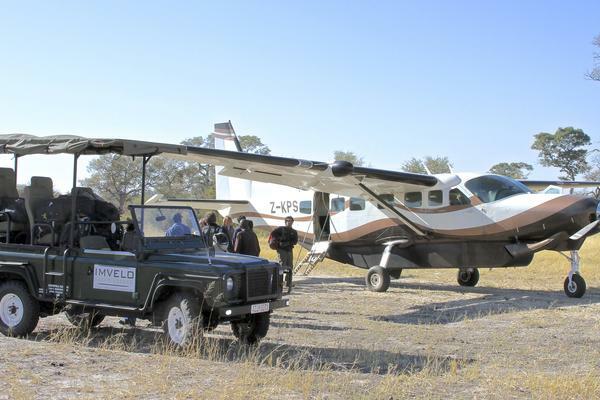 Game viewing by vehicle and by boat, canoe safaris on the mighty Zambezi River, bungee jumping, white water rafting, microlighting, Tiger fishing, helicopter or fixed wing flips over the falls, dinner on a train on the bridge between Zimbabwe and Zambia are all experiences that will never be forgotten. Hwange National Park – is the largest game reserve in Zimbabwe. Situated on the border with Botswana, this Park supports an abundance of wildlife. There are a number of shallow pans spread throughout the Park around which wildlife congregates, making for excellent game viewing, in particular elephant and buffalo. Mana Pools National Park – lies at the heart of the Zambezi Valley. 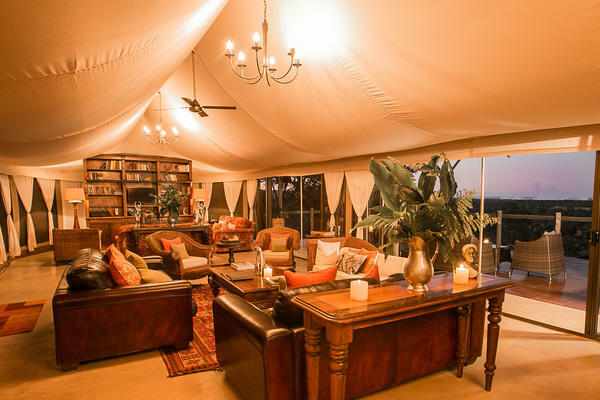 It is a remote, beautiful place with spectacular views of the Zambezi River, floodplains, riverine woodland and the mountains of the Rift Valley escarpment. This stretch of river is famous for its four main pools after which the park is named, “Mana” means “four “in Shona. These and smaller seasonal pools dotted further inland hold water all year round drawing all manner of wildlife and waterfowl . Lake Kariba – at 220km long and 40 km wide is the world’s largest man made dam surrounded by mountains and game parks. It offers spectacular views, stunning sunsets, great fishing and boating opportunities and game viewing from the water. The sheer size makes one forget that it is a dam as it almost feels like an ocean. The Matoba National Park – which has UNESCO world heritage status, is situated in the magnificent Matobo Hlls, a range of domes, spires and balancing rock formations which have been hewn out of the solid granite plateau through millions of years of erosion and weathering. The majestic and rugged terrain of the park is a hiker’s paradise and the diversity of the vegetation supports a wide range of wildlife. The Matobos area has great spiritual and cultural significance to the local people and there are many sites within the park where important ceremonies still take place. The Zimbabwe Ruins – A little less than 30 kilometres beyond the south-eastern town of Masvingo are to be found some of the most extraordinary manmade remains in Africa. Formed of regular, rectangular granite stones, carefully placed one upon the other, they are the ruins of an amazing complex. The structures were built between AD 1250 and AD 1450 by unknown people believed to be the ancestors of modern Zimbabweans. Zimbabwe has a pleasant year round climate with invariably blue skies and pleasant temperatures. November to March is the rainy season. The animals disperse and are not so readily seen. At this time of year however many animals drop their young and nurseries of antelope are a common sight. This is a good time for birding as migrant birds arrive and birds adopt bright breeding plumage. 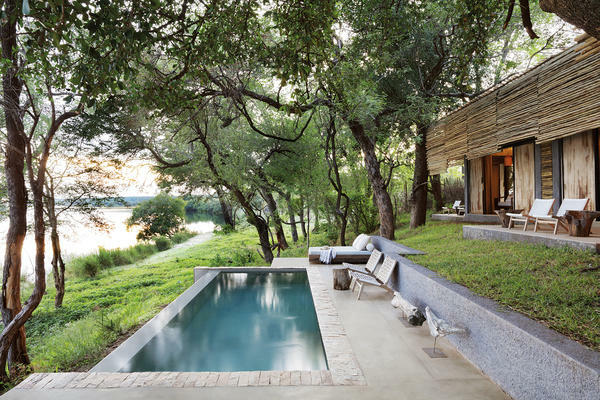 June to October is best for game viewing when seasonal pools of water dry up in the bush and animals come to the visible water sources such as rivers and waterholes to drink. April to May is a time for peak water flow at Victoria Falls after the heavy rains. This can be a particularly dramatic time to see the Falls although at its peak there can be so much water cascading over the top that the spray can obscure the views and one can get extremely wet. As the dry season progresses so the water over the Falls decreases. August to December is when the water is low and river rafting is at its best.